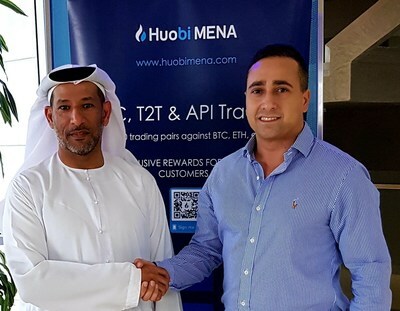 DUBAI, United Arab Emirates, Jan. 28, 2019 /PRNewswire/ -- Huobi MENA, the Middle East and Africa branch of Huobi Group, has signed a partnership deal with Resistance, a privacy-focused decentralized exchange (DEX) and blockchain, in an effort to address the liquidity issues that plague existing DEXs. The deal will ensure liquidity on the Resistance DEX (ResDEX) and allow for fast and reliable trading. In turn, the partnership opens new possibilities for Huobi MENA by giving the organization access to new markets. The partnership will eventually give the Resistance exchange access to over 150 cryptocurrencies and 350 trading pairs. Initially, the digital asset pairs available will include Bitcoin (BTC), Ethereum (ETH), and the USD-pegged stablecoin Tether (USDT) with more coins added as soon as they are included on the Huobi MENA platform. Poor liquidity has been the weak link for most of the DEX platforms currently operating. With slow adoption, many first-generation DEXs have struggled to achieve the levels of liquidity required. Low liquidity can lead to issues like price slippage, where the value of a currency changes over the period of time it takes to complete a trade; unfair or uncompetitive pricing; instability; slow transaction speeds; and more. "It's a privilege to be working alongside the Huobi MENA team," said Resistance CEO Anthony Khamsei. "I'm excited to see how together we can finally start addressing liquidity issues on decentralized exchanges." Sultan Al Ali, Director and Co-Founder of Huobi MENA anticipates a long, scalable, and highly productive relationship. "It's very exciting to be working with Resistance to advance the frontiers of cryptocurrency and blockchain," he said. The Resistance platform is due to launch publicly by Q2 2019.